There’s no love lost between Cyrus Mistry and the Tata board of directors. A day after an explosive letter written by Cyrus Mistry to the Tata Sons board was leaked to the media, the Tata Group has hit back with a detailed statement regarding Mistry’s departure. The statement says that Mistry had “overwhelmingly lost the confidence of the Members of the Board of Directors”, and hence was removed from his position. The letter also acknowledges the allegations made by Mistry in his letter. In particular, Mistry had said that there were irregularities in the way the group was run, and Ratan Tata was pulling the strings even while not being in charge. In his most serious accusation, Mistry had said that it was hard for the company to shut down its loss-making Tata Nano project because of Ratan Tata’s personal stake in a firm that Nano supplied gliders to. But the very fact that this statement exists hints that a public spat has already broken out – Mistry’s letter was leaked and carried by major news outlets yesterday, and Tata Sons has issued a public statement today. 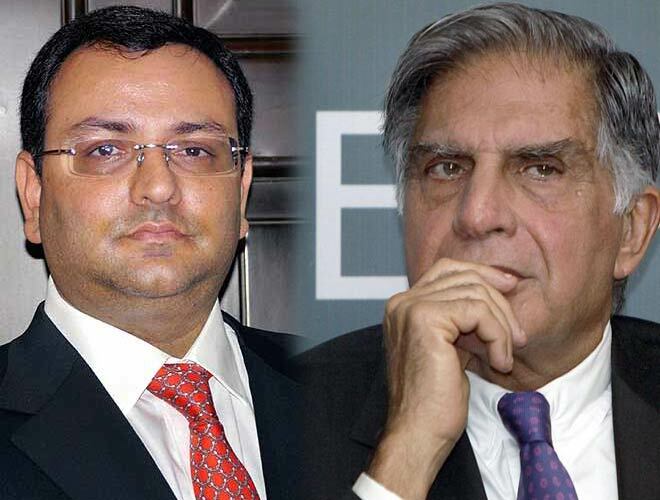 A war of words between a fired Chairman and his board is unprecedented in the 148 year old history of the Tata Group . No matter how this situation develops, the Tata Group’s reputation is taking a beating – and it’ll take a lot of work to fix it. Mr. Cyrus Mistry, the former Chairman of Tata Sons, has been on the Board of the Company since 2006. He was appointed Deputy Chairman in November, 2011, and formally appointed Chairman of Tata Sons on December 28, 2012. He would be fully familiar with the culture, ethos, governance structure, financial and operational imperatives of the Tata Group as well as various group companies. As the Executive Chairman, he was fully empowered to lead the group and its companies. It is unfortunate that it is only on his removal that allegations and misrepresentation of facts are being made about business decisions that the former Chairman was party to for over a decade in different capacities. The record, as and when made public, will prove things to the contrary. Efforts are now being made to level accusations against individuals and company boards for ignoring corporate governance norms that were supposedly upheld by the former Chairman while in office. The Tata Sons board gives its Chairman complete autonomy to manage opportunities and challenges. However, the tenure of the former Chairman was marked by repeated departures from the culture and ethos of the group. The Board of Directors of Tata Sons is composed of several eminent personalities from all walks of life. This is not a group of people who one would expect to act without exercising proper judgement in the best interests of the entities they sit on the boards of. It is unfortunate that Mr. Mistry had overwhelmingly lost the confidence of the Members of the Board of Directors for a combination of several factors. The Directors of the Tata Sons board had repeatedly raised queries and concerns on certain business issues, and Trustees of the Tata Trusts were increasingly getting concerned with the growing trust deficit with Mr. Mistry, but these were not being addressed. The Tata Sons board, in its collective wisdom, took the decision to replace its Chairman in the manner undertaken. The strength of the Group is not just confined to its value system and ethics in the Board room but to a very large extent by the adherence to the values by its 600,000 plus employees whose spirit and cooperation has built the Group to where it is today. It is unforgivable that Mr. Mistry has attempted to besmirch the image of the Group in the eyes of the employees. It will be beneath the dignity of Tata Sons to engage in a public spat with regard to the several unfounded allegations appearing in his leaked confidential statement. These allegations are not based on facts or the true state of affairs. It is convenient to put selective information in the public domain to defend one’s point of view. There is a multitude of records to show that the allegations made by Mr. Cyrus Mistry are unwarranted and these records will be duly disclosed before appropriate forums, if and when necessary, sufficiently justifying the decision made by responsible Boards of Directors, of Tata Sons and its Group companies. The Interim Chairman in his first interaction with senior leaders has stressed to them the need to continue on focusing on building great businesses while emphasising on delivering strong shareholder returns. Board members of Tata Sons have in the past stressed on the need to be more decisively focused on bringing down debt, sharpening focus on both the portfolio and capital efficiency. The Tata Group is proud of its rich legacy of contributing to the growth of the nation. During a long history, it has faced many challenges and the employees of this group have worked hard to create great companies, and deliver shareholder value. The Tata way is to not run away from problems, or constantly complain about them, but firmly deal with them and build a better tomorrow.